From the December 1943 WAVES News Letter. 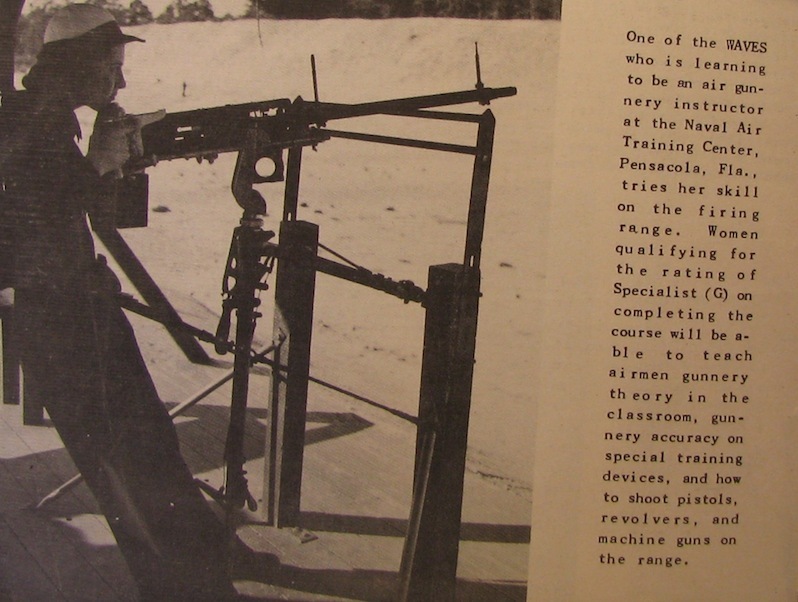 Here, a WAVE at Pensacola Naval Air Station learns how to train men in gunnery skills. The newsletter comes from the Schlesinger Library at the Radcliffe Institute for Advanced Study.